The project has invested skills in master trainers/peer educators to evolve as grassroots pivots of the project organization and programme strategy. Master trainers were assigned two/three villages/youth groups for building/mobilizing/supervision of YFAGBVs so as to organize youth, networks with stakeholders, develop capacities of peer educators/youth leaders in the villages in their area. These pivots are fast evolving into become the key catalysts, informant, communicators and coordinators of the project at the local level. 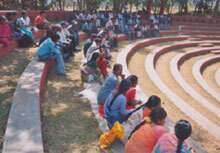 Pre-GES screener questionnaires were administered on Master Trainers and youth forum members to assess gender attitudes. 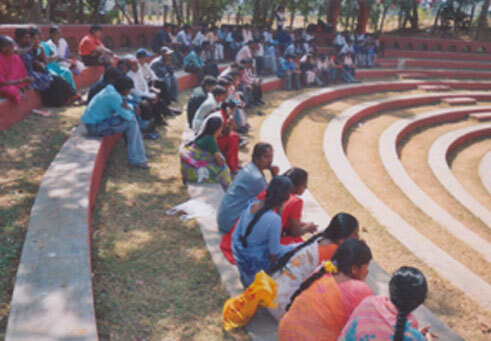 FGDs were conducted with the community and parents and teachers to assess the: status of women in the community; empowerment of women; rights of women and violence against women in the community through involving women’s credit groups, anganwadi workers, Panchayat members, men and women of the community. 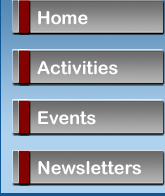 An Activity Profile of the project area was drawn based on the Harvard Analytical Framework. Village Surveys were also undertaken of the project areas. 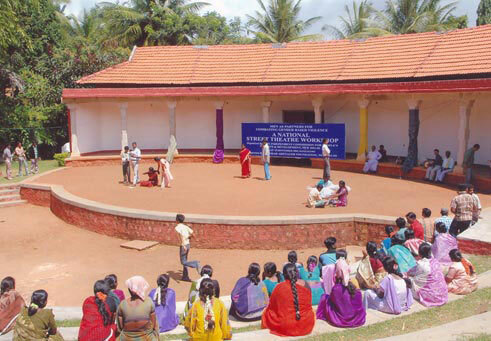 The entrenched structure of patriarchy in Karnataka according to IDIs (Phase I) required initiating pro-active re-socialization measures of young men to “gender neutral attitudes.” Positive gender neutral attitudes are being projected through solutions to various manifestations of GBV at community level utilizing themes through street theatre. (TOTs, IECs). After completion of research/baseline survey, the data was entered into N6 software (NUD*IST) and SPSS for code based qualitative and quantitative analysis. The capacity building workshops (TOTs and IEC) conducted under the project have given the Master Trainers and youth forums (through the Master Trainers) an insight into violence in general and GBV in particular which was hitherto unavailable. As a consequence of this, as a first step, they have begun to identify the various forms of GBV that are prevalent in their own households or their communities, such as alcoholism related violence, girl child discrimination, wife beating, eve teasing, mental abuse, etc. They are training YFAGBV and Women’s self help groups (SHGs), in turn multiplying the local level catalysts for the issue. The YFAGBVs have attempted to involve Self Help Groups (SHGs), Panchayats, Teachers and other stakeholders to provide a sustainable village level platform as a focal point against GBV to systematically combat the issue. The larger goal of the project is to build forums of male youth at the local level mentored by women’s self help groups to strengthen and sustain overall women’s rights. The short term strategy is to create awareness on GBV in the community and its long term strategy is to empower women through women’s credit groups and strengthen micro-level entrepreneurship through loans for enhancing women’s rights. (input HIV, health, trafficking, drugs and other issues into these platforms as and when possible). Youth leaders have been initiated into techniques of street theatre and imagery (IEC tools) for combating GBV, a forceful creative tool developed by ICPRD as a vehicle for communication and in generating awareness regarding violence against women at mass campaigns – (transformed into a cost effective strategy for mass mobilization). This methodology enhances the number of project stakeholders awareness to the issue in very remote pockets. These are usually organized at public places such as: street corners, school grounds, panchayat bhawans, village squares, anganwadis, outside Public Health Centres (PHCs) and urban slums. The number of people reached through mass campaigns is a stupendous 21,135 direct and indirect stakeholders in this phase. A major highlight of the Rajasthan project has been the cultural activism exhibited at mass campaigns through vibrant street theatre and role play. 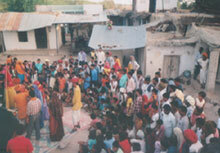 In rural pockets, the poor, women and vulnerable people have little form of entertainment. Hence, the mass campaigns are a huge draw - for their entertainment quotient as well, along with their information quotient on GBV. A new step in project management has emerged with victims of GBV family history becoming project managers, indicating project sustainability. 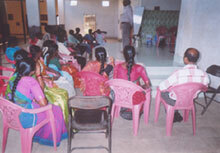 Master Trainers and YFAGBVs have developed the skills with the commitment to sustain the project locally. Project staff are now emerging from being Master Trainers to takeover leadership of project branches. To engage with policy levels, MPs have been exposed to the project’s strategy and methodology. (10 MPs through National Street Theatre Workshops up to now). 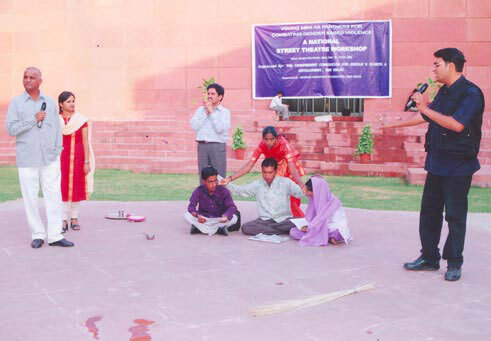 The visiting MPs have participated in these Street Theatre Workshops and enacted possible solutions.